When it's time for prom, many people want to remember this piece of youth and carelessness, and through many years of heart was warmed by the warm smiles of my classmates, and in memory remained good wishes of teachers and school friends. 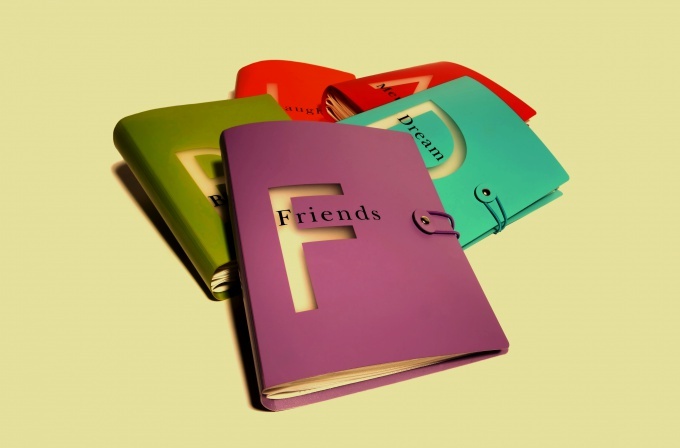 All this can be combined in one place – the graduation album, which is awarded to all graduates. One of the types of albums that you can order in any photo salon - a traditional photobook. In her photos of children are interspersed with requests from teachers and poems about school. Opens the book the, made in the first class and finishes overall graduation photo. Photos framed in frames of autumn leaves, or school supplies (such a framework-many templates online, and to find the right not make special work). If you want to get the album, you can make a fun journal. It is not necessary to take photographs of each graduate a separate page, here important live, frivolous, cheerful pictures: here Masha throws up yellow leaves, and Kohl's, for example, celebrates victory in the competition. You can make a few photo collages that reflect the faith of the children in a good, kind, successful future: everyone is in clothing or object that characterizes a profession (Vanya with a keyboard under his arm, and Natasha with a pointer and a biology textbook). Welcome pictures from school activities – sports, competitions, Kvny, discos, theatrical productions. Variants of signatures – funny phrases from the lessons, comic promises from everyone: "But in the future I will...". If you want to place the information on each graduate, it is possible to compose the album for the person: each page is a photograph of the graduate to his full height and two small characterizing Hobbies or life position eleventh. Here is information about each of them: name, surname, ICQ number, email address, Hobbies, a small feature on behalf of the teachers. At the bottom of each page you can place the aphorism about life or about how to do things. For the refined natures or graduates of art schools or classes suitable option of creative album. On its formation will have to work hard to all, because everything will be hand - scanned and processed records greetings, confessions of love to teachers, notes, "about," "my dreams" drawings in the margins of notebooks and wishes classmates, blots from the books and records of the class teacher in the diaries. Photos of each graduate can be in two formats: a seven year old timid first grader with flowers, portfolio back and graduate, serious and confident. After many years it will be interesting to open it and look how different the handwriting, as far as true instruction, wishes and dreams. School years want to leave in memory for a lifetime, because it is likely that during this period you first fell in love, acquired real friends, learned a lot of important and valuable for your further development. This will help the school album. You can of course buy ready-made colorful school album (they now have a large selection). But more interesting is to make it with my hands to invest their love, patience and diligence. Then your album will be original, unique. Purchase the album with thick cardboard pages. Think about how unusual and original it is possible to arrange the cover sheet. 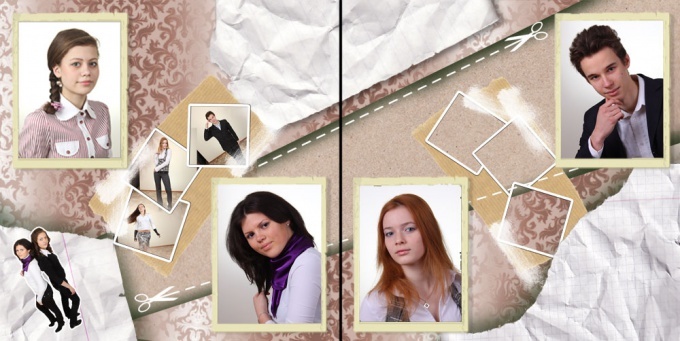 You can cut images of all your classmates and put them together. Sign unusual, creative imagination and humor. For example: "Our Denis, the most indispensable man in the class". It is more convenient to include in the album content. This will help you in finding the right information. Dispense the entire volume of pages on the basis of the time intervals. Start collecting information from the first class, with a festive line. Gradually, to the graduating class you will collect the real chronicle of school life. Will post there a picture of the first teacher. You can ask her to write under the picture of the wishes for you. In this same section about the first years in school life, put their essays on the thumbnails on the topic "My first day at school", "favorite lesson", "what I wanna be", "My best and loyal friend", etc. will be Good if this work you make interesting pictures with appropriate themes. Select the place in the albumfor pictures from various events and themed school events. For example, can be placed in the albume pictures from the campaign, new years eve, graduation from elementary school, etc. Each section is also well worth a sign up. For example, during the transition to middle school from elementary classes, you can write: "farewell to elementary school! I've grown up!" In the next section, you will need to paste photos of new teachers, because their you will have many (for each subject). Here you can list a new discipline, and write the responses from these lessons. Make a separate insert in the album for your creative works (drawings, applications) and also for essays, research materials, letters and thank you letters for participation in various competitions, conferences,competitions. At the end of the school albumand be sure to leave space for suggestions and interesting statements about you from my classmates and teachers. On this page you will be able to get before prom night.